The major components of your home are an essential feature to potential buyers. 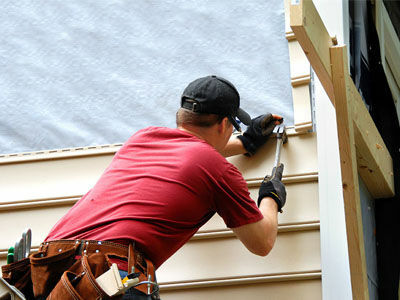 Your roof and siding is often an outdated feature people do not always realize, unless there is a problem. Knowing the age of your roof and siding, and the lifespan of the material used when it was installed, will help you determine if your roof or siding is approaching the time for repair or replacement. Another item that is often overlooked, is the furnace and air conditioning units. The average lifespan for these units is 15-20 years if maintained properly. Before making the jump into purchasing new units, conduct an inspection by a licensed technician. Energy efficient windows are also an appealing feature to showcase to buyers. Efficiency is trending, and replacing items that are not as economical will save the buyers (and yourself) money in the future. 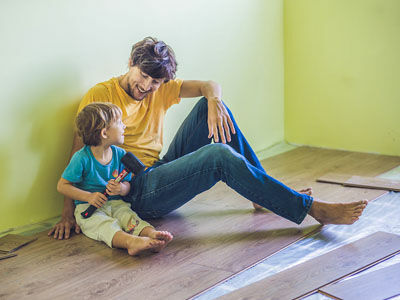 Flooring is a key feature to your home. When potential buyers walk through your home, they want to feel like they can see themselves living there. Applying a fresh and neutral carpet to replace old and worn out carpet will freshen up the look of the room. If you have hardwood hidden underneath your carpet, it may be beneficial for you to repair the hardwood instead of replacing the carpeting. Hardwood flooring is becoming increasingly popular because it is solid and long lasting. Sprucing up your hardwood floors or installing them new is consistently showing positive feedback from prospective buyers. Installing all new hardwood can be pricey but there are alternatives that can be flattering as well. For example, bamboo, pergo, and laminate wood flooring would be a more affordable option. When buyers are viewing your home it is important to understand that outdated items may deter buyers from proceeding with an offer. Trends that were once considered popular have now taken a backseat to more modern influences. Less is more, and the less work the buyer has to do upon move in the better. Wallpaper was once considered difficult to eradicate, but with the development of new products it is very easy to remove. Popcorn ceiling is another element that can scare away buyers. It has been known that some popcorn ceilings installed before 1978 have contained the hazardous material called Asbestos. Before removing your popcorn ceiling, please contact a professional to make sure you are taking the necessary precautions for mediation. Keep in mind, not all popcorn ceilings are hazardous, but it is imperative that you are aware of the stigma behind them. it to another flooring element like tile. This will help keep moisture from seeping into the structure of the floor. Displaying a more neutral palette to possible buyers will allow them to begin to envision themselves in your home. 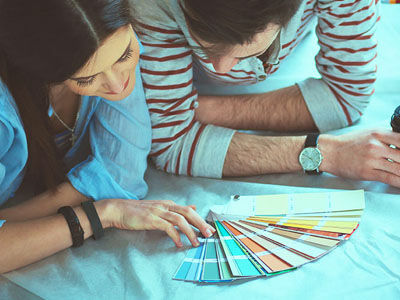 The colors you choose to paint your home will set the mood for the buyers. Colors that are too dark, or bright, will distract the buyers from focusing on the other lovely features of the home. Some buyers view dark colors as cold or dreary, where as too bright of colors can be seen as startling. To maximize your room potential, painting light colors in small spaces will expand the look of the room. 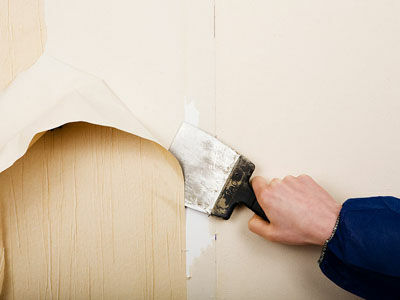 We also recommend that you patch and touch up any walls for a nice clean appearance. The best investment you can make to your property is to remodel your kitchen and bathrooms. There is almost a 100% return on investment for these updated components. Whether you replace, stain or paint, refreshing your cabinets will instantly give the kitchen a new look. Granite counter tops are a luxurious addition to the kitchen, and replacing outdated appliances will finish up the look. If your kitchen is smaller, it is important to come up with creative solutions to increase the storage space and organization. 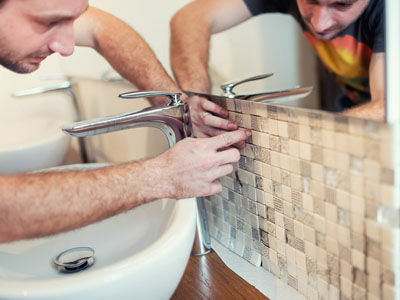 This is also vital in bathroom remodeling. If you have the space to insert a double sink or a deep soak tub it would be beneficial to add these amenities. Good Luck on your projects! If you have questions about increasing the value of your home with improvements, feel free to give Sharon a call today at 630-307-2760!